Shark lovers wanted! Work with sharks and marine biologists in SA! Are you a shark lover? Join our Oyster program and you can be up close and personal to them on a daily basis. This is no ‘water park’ experience – you will be working with wild sharks as they dominate the ocean surrounding South Africa. While these magnificent creatures may seem untouchable, they are facing extinction with a huge decline in their population year on year. You will contribute to crucial research and join tourist trips to see the sharks, helping others to start loving and caring about these animals as much as you do! 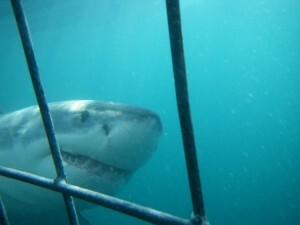 Cage dive with sharks in crystal clear waters – a dream for many, a day in the office for you! You will be based close to Cape Town along the attractive garden route. There are excellent beaches, restaurants and nightlife within easy reach so even on days off there will be plenty to do! One great attraction of volunteering in the wild is that every day is different. 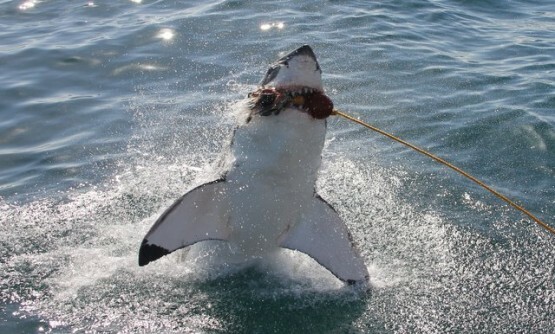 However, in the warm waters of South Africa we can almost guarantee you will spot plenty of sharks! In fact on the 27th August, marine biologists recorded nine sharks around Dyer Island, with at least 3 hovering around the boat. One participant, Juliane Gisberg, described the experience as “Great! The most amazing thing I’ve ever done!”… not to mention what fantastic work experience this can offer for a career or university placement in marine biology. Why not grab the chance to take on this volunteering opportunity – for 2 weeks up to 12 weeks. Oyster will sort out everything, all you need is a passion to work with sharks and other marine life you will come across everyday! Visit our website or chat to [email protected] for all the details! Working with wild sharks looks to be a fantastic opportunity! hi. i have been a lover of sharks since i was a child. i would love any information on how i could have a career working with these amazing sharks. I am an advanced paid diver and my passion is great white sharks and the survival of them and I wish to contribute to this. I would love to do this. Can I bring my dog though? Thanks for getting in touch, we would love to get you involved in one of our project, however it is not possible to accommodate a dog . I am sorry for this!